We offer high quality tours & experiences in Rio de Janeiro, and are recognised for our friendly, relaxed and fun vibe. Our multilingual Local Guides are carefully selected and trained to bring you the very best of Rio and the surrounding areas; you can experience for yourself how much we value positive and encouraging atmospheres. Take a tour with us, and you will not only see the popular destinations that Rio boasts, but also the hidden gems that only locals know about. 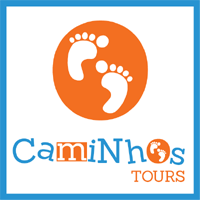 Upon finishing the tour you are invited to partake in our 100% free Caminhos daily activities. We are well known for our support of underprivileged children in Brazil and when you book a tour with us, a portion of your payment goes straight to our social program, ‘Mais Caminhos’. Caminhos’ mission is to connect people in an easy-going, international environment and we are invested in your personal development. We offer fun educational, cultural and social activities to our clients, our language students, and to underprivileged Brazilian children and teenagers. Our events are geared towards fostering cultural awareness and appreciation, so that together we can attain the understanding and enthusiasm needed to build a brighter future. Become part of the Caminhos family: it doesn’t matter what age, nationality, or taste you have, as our specially selected and trained Caminhos team strive to create satisfying and comfortable experiences for all. Have your pick from a wide range of activities; with events dedicated to education, sports, volunteering, music, dance, parties, food, drinks, art, and nature, there is something for everyone! 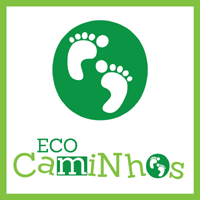 With all of our quality products, free activities, and social projects, Caminhos is the perfect place to meet new people and experience Brazilian culture at it’s finest, all whilst driving positive change for underprivileged local children. Read more about our social program.